Me and shaving are rarely good friends and even though over the years I’ve been taught every trick in the book, it still becomes an unpleasant experience at times. I have explained many times that I have the most feeble of facial hair on top of very delicate and sensitive skin which means that shaving often results in redness and a little irritation. Any of this sounding familiar? 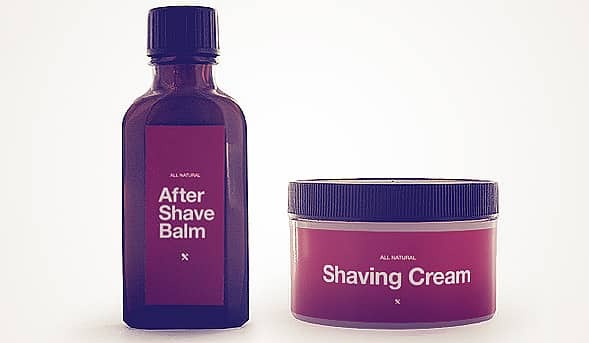 I was very pleased to receive through the post, a razor and blades as well as a shave balm and shaving cream, all from Razwar, a relatively new shaving company established by a Mr Pierre De Nayer. 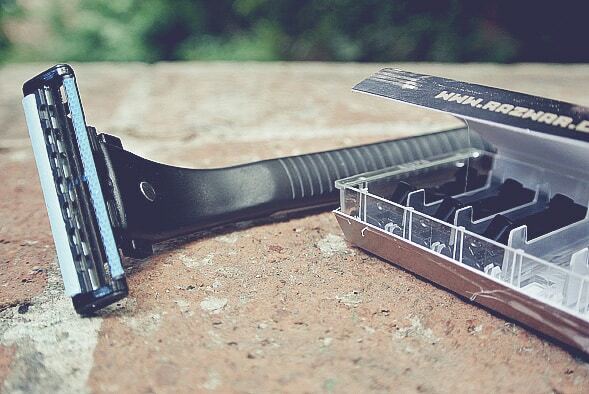 He set up the company out of frustration of feeling he was being ripped off by many other razor companies. I sometimes know how he feels. 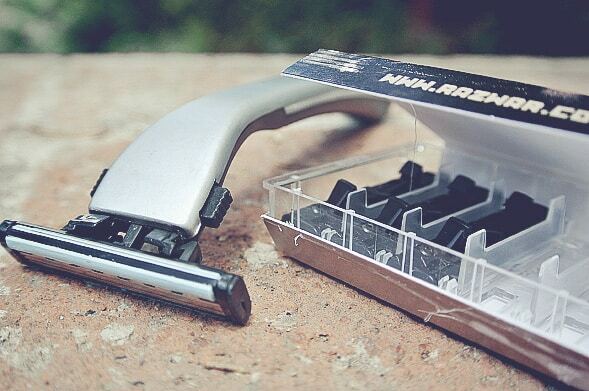 The razor I was sent is called The Ché, a solid handle that takes disposable, 3 blade heads. The complete razor feels nice in the hand, comfortable and easy to manoeuvre whilst having a good weight, feeling solid and substantial. The blades cut well, really close and really easily. What can I say, other than it’s a really solid, substantial and effective bit of kit that when used with my favourite shaving foam gave a really nice finish and didn’t leave me as sensitive as normal, not by a long shot. With the kit were also two of their shaving products, both all natural. The first was the After-Shave Balm, which I really liked. I find that a lot of shaving balms contain a high level of alcohol that stings a little on application. I actually find this across the board wit the majority of products I’ve tested and I don’t like it. This however doesn’t have that and immediately soothes, I really enjoyed it. Embarassingly, but it’s really worth mentioning, I heavily trimmed my armpits before flying out to Barcelona, where I’m now residing for a little bit, in order to reduce perspiration and make things a little easier on myself. The problem was, even though I was using an electric body groomer, I went a little overboard and gave myself some really sore redness, it was quite painful. I absolutely slarted this all over and by the next morning, the stinging and inflammation was almost non existent. Hats off to it. The shaving foam I wasn’t hugely fussed about, not that it wasn’t a very good product in both its design and execution, the problem was is that it didn’t foam enough for me. This was actually specifically designed to have a low lather formula, as most men prefer this, but that I find that a really thick foam benefits me and makes my shave easier and more comfortable, it’s my weird personal preference. I also prefer gel foams, which aren’t as good for your skin, but I’m lazy and a creature of habit at times. These skincare products have been really well thought about, well designed using some really nice ingredients. I’d definitely recommend them for anyone who’s had sensitivity or dissatisfaction of supermarket brands. To get a bit of a better look at the products, as there’s a huge line available, have a look at their website, it’s easy to navigate and everything’s there. If you have tried these products or do so from reading this article, please do let me know what you think in the comment section below. This article first appeared on MANFACE written by Thom Watson. It was published on Monday 16th July 2012 and was last updated on Monday 3rd April 2017 at 4:17pm. It's categorised under Razwar, Sensitive Skin, Shave where you'll find more related content. Thank you for the great article Thom. Hope you are well. Let’s keep in touch.